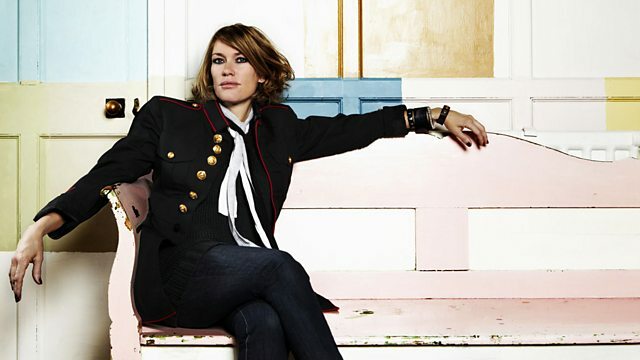 Singer Cerys Matthews and music expert Tristram Penna conclude their investigation into the very earliest days of the recording industry in the UK. 1902 was the year that changed everything for the Gramophone Company and was the real starting point for the record industry of the 20th Century. Fred Gaisberg was on his way to Rome to record the Pope when he stopped in Milan to hear an acclaimed new tenor. His name was Caruso. He wanted Caruso to record ten songs, but he asked for a payment of £100 - an exorbitant sum. The Company Chairman telegraphed back forbidding Gaisberg to go ahead, but Fred decided that this new tenor was too good to miss. The tenor voice was uniquely well suited to early disc recording machines and one of earliest records of Caruso was the first to sell over a million copies. The success of Caruso as a recording artist led directly to bookings at the New York Met and London's Covent Garden - the first time that being a recording artist had a major impact on a singer's career. Another popular classical singer was Nellie Melba, the Queen of Song, who negotiated and popularised the idea of a royalty being paid to the artist for each disc sold. Over the next few decades, recording innovations and the invention of the electric microphone meant that tenor and strident voices no longer held the upper hand, as singers of both sexes could purr and be heard. We also hear from manager Simon Napier-Bell and music journalist Peter Doggett. The early recordings are courtesy of the EMI Archive Trust. A Sue Clark production for BBC Radio 4.